Who wants to sleep on a slope? Invariably, your tool for the job will be a spirit level and a trusty partner to shout “now” as the bubble hits the centre, but what if you are alone or it is too dark to see the bubble or your partner is generally rubbish at shouting “now” at the right moment. 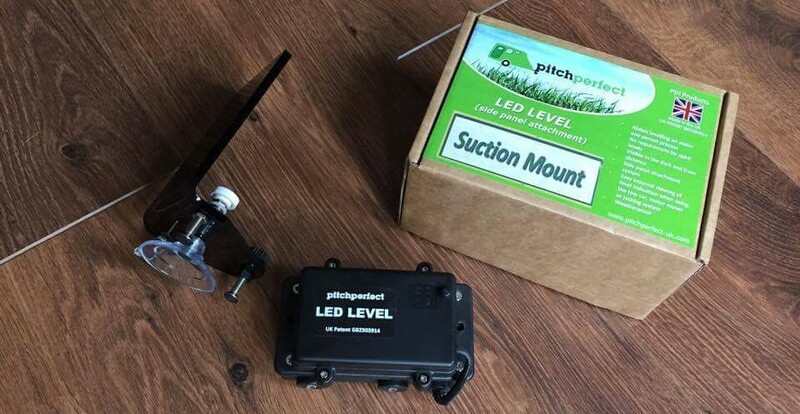 On our latest trip we tested this LED Level from http://www.pitchperfect-uk.com. 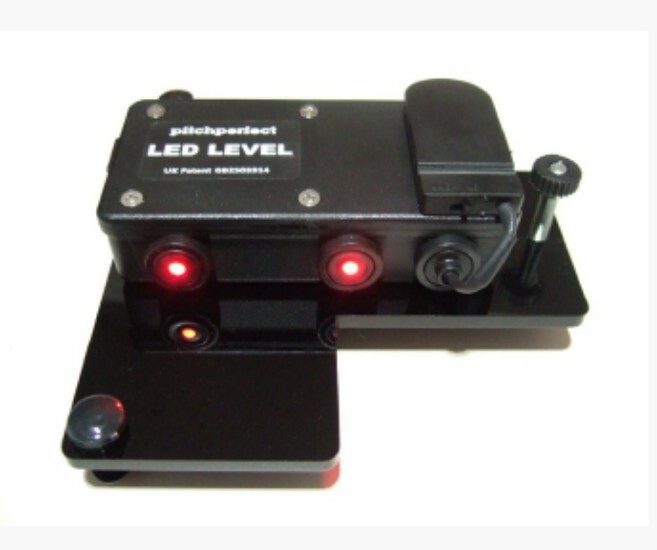 The device has two bright LED lights on a level horizontal alignment. If the unit is not level only one LED illuminates on the higher side, when perfectly level two LEDs illuminate. 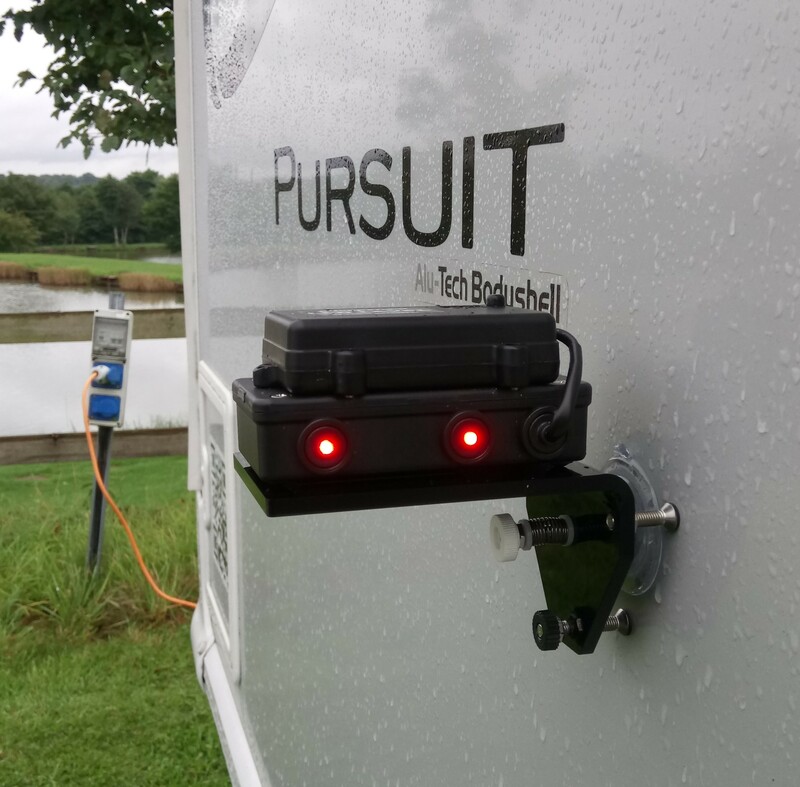 There are two LED model options, an ‘Integrated’ model that can be permanently attached to the underside of your caravan, or the ‘Suction Mount’ model we are trying, with a ‘side panel attachment’. Luckily, our pitch at Makins Fishery near Nuneaton was perfect to test the product credentials, it had a significant side slope and we instantly knew the levelling ramps would be pressed into action. On this occasion we wanted to face onto the fence to view the Fishing Lakes so had to manoeuvre the caravan using the motor mover. 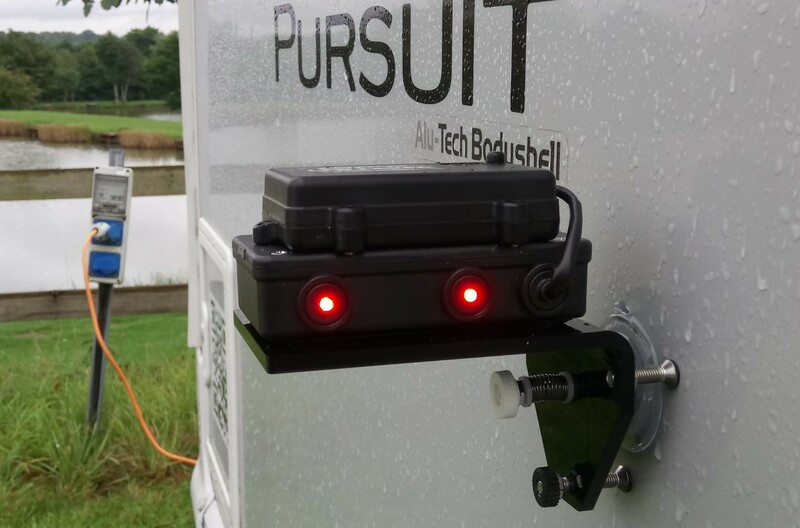 The side panel attachment has a spring loaded suction cup along with non scratch pads on the pre-calibrated screws to hold vertical on side wall, if your side wall is not vertical the calibration screw is adjustable. We placed the bracket on the near side wall and simply manoeuvred the caravan up the levelling ramps until two LEDs illuminated, level, simple, one person. Equally, from outside, we found we could still easily see both lights illuminated when placed internally on the front window sill. 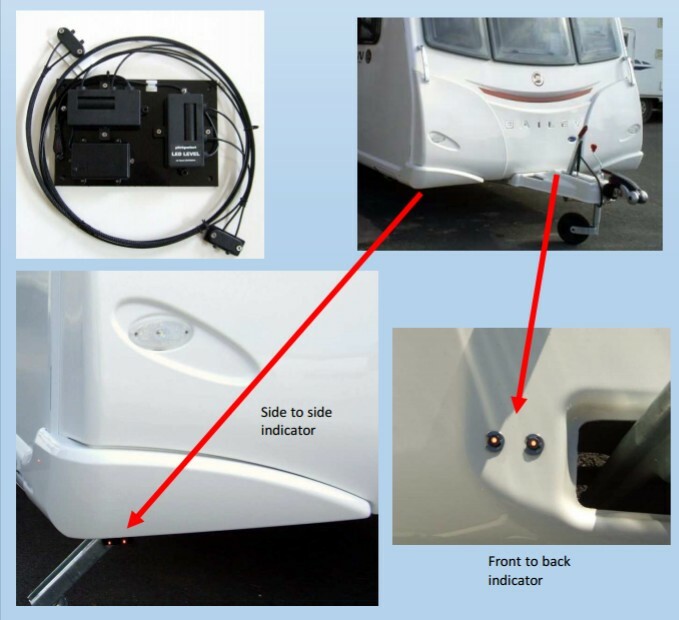 Front to back levelling was even easier, we placed the LED Level directly onto a level section of the caravan A-frame and simply adjusted using the jockey wheel handle. In the picture below you see one light illuminated to indicate the front is lower than the rear. Once the jockey wheel was adjusted two lights indicated level. If you do not use a motor mover and use your car to manoeuvre the caravan up your levelling ramps you will easily find that you can see the LEDs from the drivers seat via the door mirrors, as per the following picture at our ‘unlevel’ storage yard. 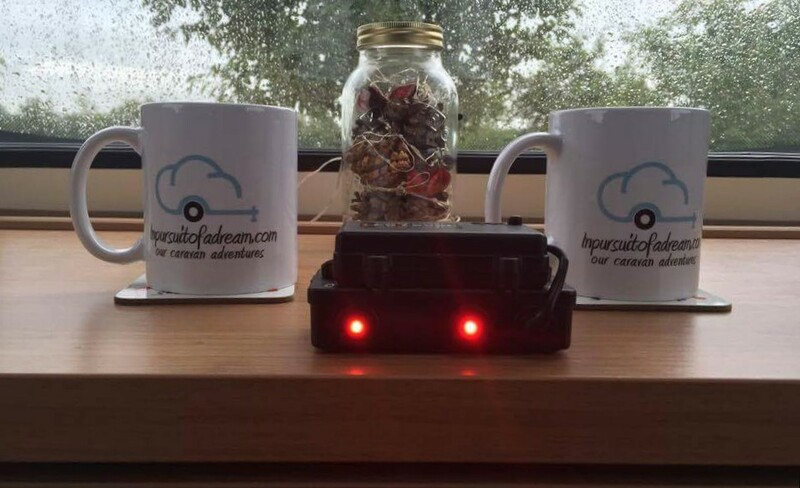 While we have reviewed this product from a caravan perspective, no doubt its application within a motorhome would be just as useful when placed on any known level surface within the living area. 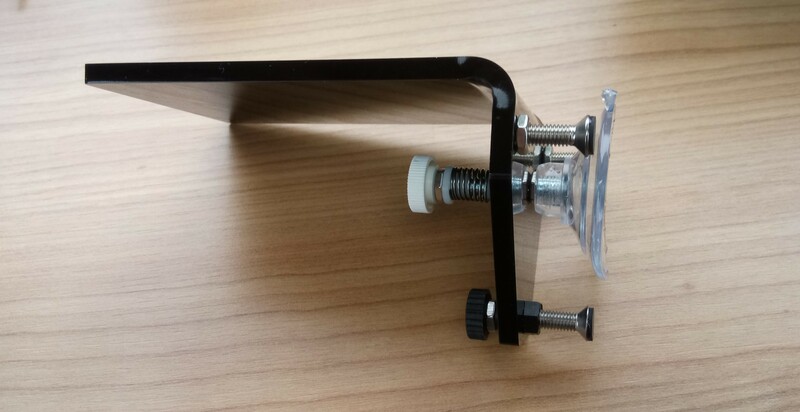 In fact, the LED unit can also be purchased with a calibration base for £22 (pictured below). Overall thoughts. As Bailey caravan owners with an Alco wheel lock we found the level position on the ramps resulted in misalignment of wheel lock, but this is a specific challenge of Alco wheel locks and levelling ramps, not a negative for this product. While it can be argued it does the same job as a spirit level, this product has much more to offer in terms of low light visibility and one person levelling. At £25 for this ‘Suction Mount’ model we feel this would be an affordable and useful item for any caravan or motorhome owner. 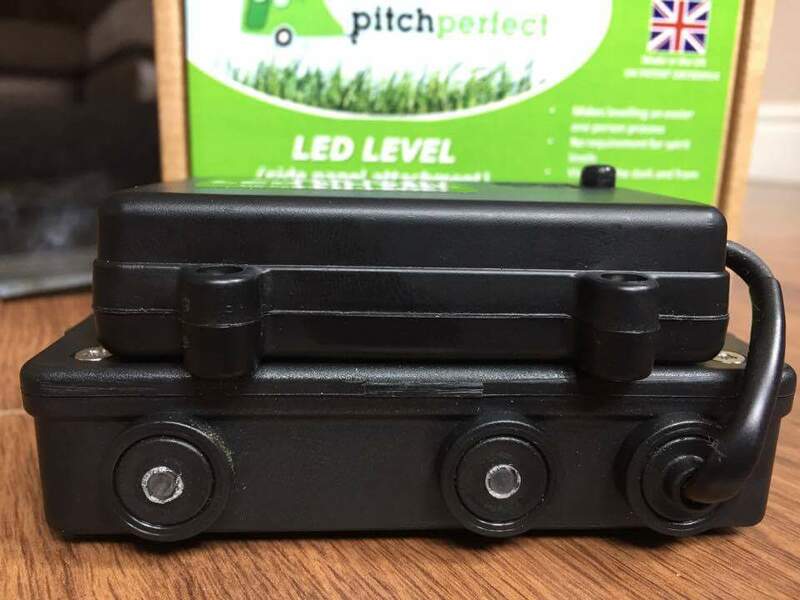 Alternatively, if you are happy to place on a level surface internally, you can purchase just the LED Level unit for £15 without the side panel attachment. Finally, the ‘Integrated’ model features dual axis level indicators and is permanently installed to the caravan (easy self installation) at a cost of £48 (pictured below).